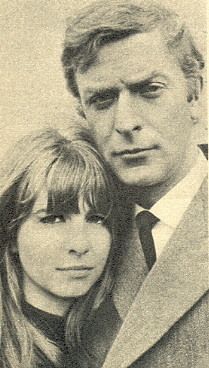 When a gorgeous man like Michael Caine and a lovely girl like Jane Asher, get together on a film, one can imagine that it is worth seeing. 'Alfie' is the film. It's great! No, Michael isn't making a record, he's chatting into the mike, rehearsing his lines for his new film 'Alfie.' Mike has the title role. 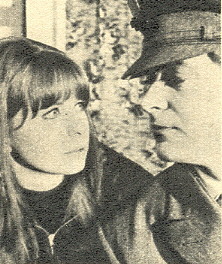 Jane plays one of Alfie's girlfriends in the film. 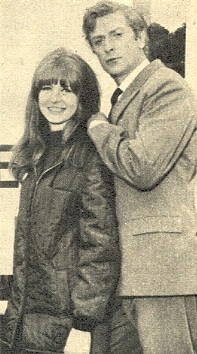 I suspect Beatle Paul is never far from Jane's thoughts, though. 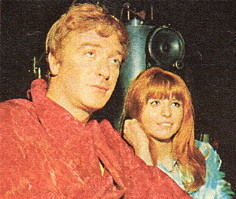 MICHAEL CAINE and Jane Asher make a fantastic pair in the film 'Alfie'. 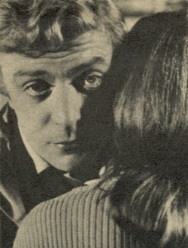 Alfie, played by Michael Caine, is a swarthy, girl-chasing young man, who has a different "bird" every night. Jane is one of his many conquests - but Alfie thinks things are getting too serious so very grudgingly lets Annie (Jane) go. 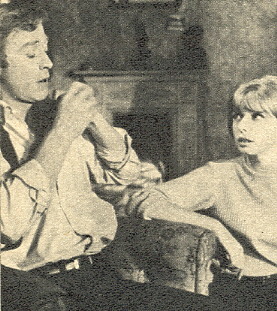 Jane says: "I've thoroughly enjoyed working with Michael. I have met him before socially, but this is the first time I have worked with him, and he is very professional." 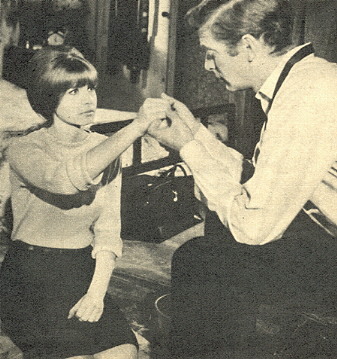 Michael says: "Jane and I have known each other for some time now and I admire her talent. She is a beautiful girl and I was thrilled when she was cast as one of my girlfriends in the film." This is the most challenging part of Jane's career and she certainly makes a marvelous job of it. Michael Caine is of course brilliant, as he proved in his earlier films: Zulu and The Ipcress File. 'Alfie' is a film I am not going to miss. 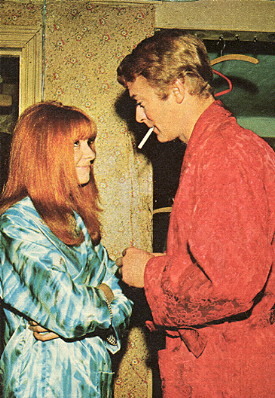 A chat on the film set - Jane and Michael each admire the other's acting ability, so they enjoyed working together. Day's work over. Now to look at the rushes. Those two famous faces, seem to show that bit of filming's okay.